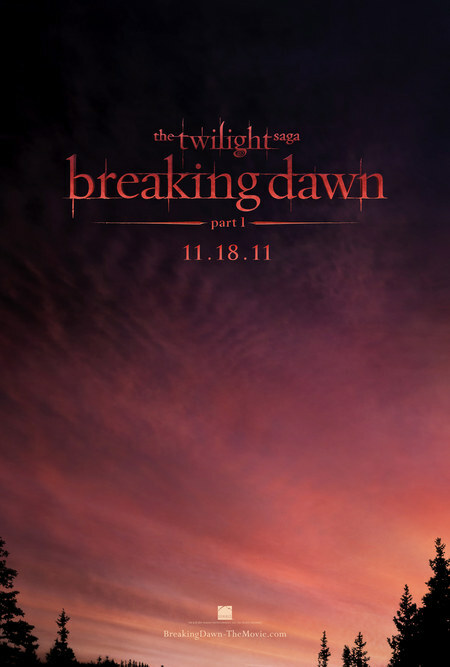 Breaking Dawn Movie Trailer | Twilight Saga Official News: First Official Breaking Dawn Part 1 Teaser Poster! The first part of the epic finale of the ultra blockbuster The Twilight Saga is still months away, but Summit Entertainment is currently in full steam ahead to promote their biggest movie franchise and saving them from bankruptcy. Well, they have only spent around $155 million for the three movies to make when they adapted the hugely popular Twilight series written by Stephenie Meyer which is far below than most big budget tentpole films by other studios. The movie franchise then went on to gross more than $1.792 billion at the box office. And with just a short time before people can watch the first Breaking Dawn movie trailer, Summit Entertainment has already released the first and official teaser poster of their much awaited upcoming romantic supernatural flick. The teaser poster is really such a tease. To those expecting to see any of the Twilight stars to be plastered on the poster, but sorry to disappoint you, you have to wait for the next poster. You can catch Robert Pattinson, Kristen Stewart, and Taylor Lautner on the several movie stills that have been previously released, but not on the poster. But anything Twilight related would be sucked in by Twihards to get hold of their Twilight fix. The poster features the picturesque forest landscape of Forks, Washington (where the story was said to have taken place) while the dawn is, well, breaking. The poster really does seem not that much, it wouldn’t be called teaser poster for nothing. But fret not Twilighters, because as most of the time, a trailer is set to be released next… which will still probably be called a teaser trailer. And there are talks that the clip is set to debt at the upcoming MTV Movie Awards this June 5. When you watch Breaking dawn online, it will finally conclude the love story between Edward Cullen and Bella Swan. The two lovebirds are finally set to tie the knot and will soon have their own child, Renesmee. But the birth of their daughter will soon cause a rift between the Cullens and their allies against the Volturi clan. The epic battle is bound to happen when the film gets released this November 18.